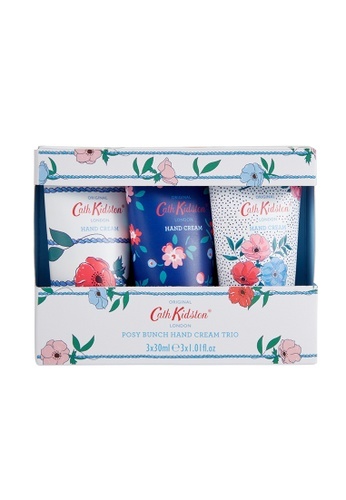 A trio of moisturizing hand creams fragranced with loose posies of flowers, heady with scents of lilac, wisteria and peony, a splash of green tea and lemon and a sprinkling of cedarwood and amber. Formulated with marine Sea Moss extract known to be hydrating and rich in minerals and blended with avocado oil, shea butter, vitamin E and essential oils of marigold and bergamot to leave hands perfectly hydrated and smooth. Can't find Posy Bunch Hand Cream Trio in your size?